The mission of the Bodhi School is to provide high-quality education to children from impoverished backgrounds in the Narayankhed region of Telangana in India. There is a crisis in education in India. Only 10% of low-income rural students make it to secondary school and only 3.5% of poor rural students graduate from the 12th standard. While there has been a major government effort to educate students, the problem is that many government schools do not perform well. School buildings are old; teachers are often absent; teaching materials and books are insufficient. In fact, 17% of government school teachers are absent from school on any given day, and 45% of schools do not have a useable girls toilet. In short, there is a huge unmet need for high-quality education in rural areas. The Bodhi School provides high-quality, English-medium education to 505 impoverished children in the rural Narayankhed region of Telangana. Most Bodhi students are sons and daughters of landless laborers and marginal farmers—often from lower castes. Many students are first-generation learners, and all students receive scholarships—from full scholarships for the poorest to partial scholarships for others. No child is turned away. Nandu’s shining eyes and wide grin reveal his happiness at being in Bodhi. When someone cracks a joke, he throws back his head and laughs, not conscious of anything except how funny he finds the joke. Looking at him, you would be hard-pressed to guess that the path hasn’t always been smooth for Nandu. He lost an entire year of schooling because his father was ill. Now he lives with his grandparents, away from his parents and brother, so that he may go to Bodhi. He misses his “beautiful” family. His grandmother leaves at the crack of dawn to work on a farm, leaving twelve-year-old Nandu alone. He is eager to come to school each day. Those expressive eyes light up when he sees his teachers and friends. He likes to read and dance and adores his Math teacher, Venkat. This gamut of interest reflects in his career choices – he wants to be an engineer, teacher or photographer! “I want to be a doctor. My parents are uneducated and face health issues because of that,” says Jaya Mangala, a vibrant 10-year-old who enjoys conversation and cursive writing. Like the other girls, she is dressed up for Children’s Day, wearing ethnic clothes instead of her uniform, bright blue bangles and a pretty necklace with a big locket. The mehendi on her arms is on full display in the pose she strikes—one hand demurely under her chin, the other supporting it. 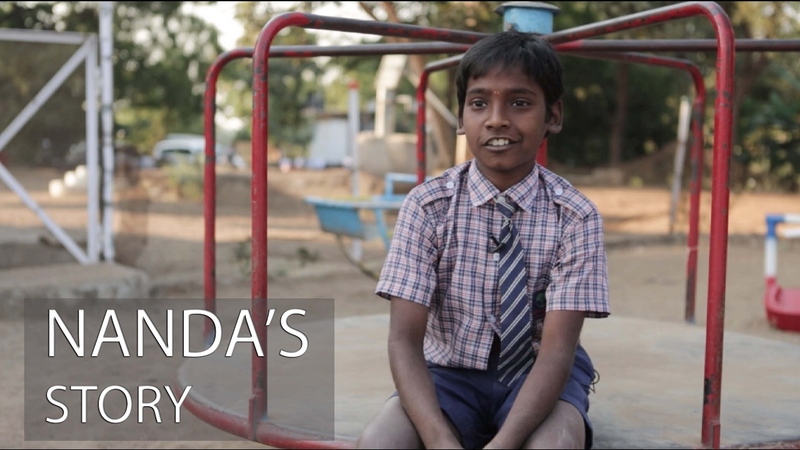 Mangala’s parents never finished school, and make a living through subsistence farming. Mangala believes that we should study so that we may get good jobs and help people like her parents, who had limited opportunities because they dropped out of school. Mangala particularly likes how studying at Bodhi includes hands-on projects and “drawing work” and that she can play in the large and lush playground. Her favorite subject is English, and her favorite teacher is Rajeshwari, the English teacher. Her love for language seems to have given her confidence and poise – she is as ready with her answers as she is with a pose for the camera.